Marown A made a solid start to their season with an 8-2 home win over North Ramsey A, with Steve Walmsley and Ray Skelly performing well to beat Dean Kipling and Peter Kelly respectively for the visitors. On Wednesday evening the Crosby men who were missing a couple of regulars made the journey north to take on the champions South Ramsey A and would have been delighted to come away with a deserved 3-7 away win. Last season Marown were inflicted with a 9-1 defeat on a tricky green, however as many teams will find there is little home advantage to be gained at this time of year. For the home team David Bradford won convincingly 21-5 against John Gelling, whilst James Teare won his second game of the week to beat Brian Kelly 21-10. Peter Kelly and Paul Kelly both won comfortably for the visitors against Glynn Hargraves and Peter Collister respectively to leave the match finely balanced at the half way stage. In the second half visiting captain Paul Dunn led the way with a 21-6 win over Chas Grills, closely followed by Matthew Keggen who won 21-9. Colin Kelly secured the win for the visitors with a good 21-13 win over Alan Moore with the score not quite reflecting the performance of Moore. Last game on the green was Dido Kelly who battled hard to prevent another win for the Marown men to defeat Neil Withers 21-17. Marown sit in third place but are well positioned having played a tough fixture. Onchan A lead the way at the top of the table on 16 points having recorded two 8-2 wins, seeing off Castletown A at home and Marown B away with new signing Steve Parker winning both games to make a positive start to life at Onchan. Onchan’s other new signing Frank Watson just missed out on recording two wins losing 18-21 to Peter Oates. Peel A sit just one point behind Onchan A having beat newly promoted Noble’s A 7-3 at home with Glenn Boland making his first division debut with a memorable 21-19 win over Dave ‘Barney’ Kelly. Peel secured their second home win of the week to see off South Ramsey B 8-2, with Tony Dugdale and Steve Moore winning comfortably for the visitors. The new signing for Peel Andy Kennish also made a good start to his campaign winning both games. 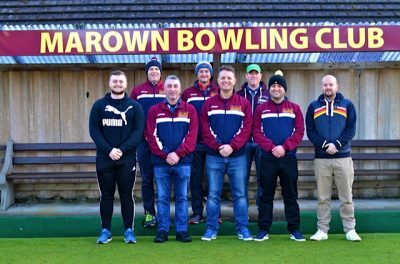 Completing the top four on 12 points are Port St Mary A, who drew 5-5 away to Castletown B with the home team winning five games, but missing out on the aggregate by three chalks (134-137). Town’s Aaron Richardson will have been pleased to beat Paul Skelly 21-19. In their second fixture of the week Port St Mary A recorded a good 7-3 home win over last season’s closest rivals Douglas A, who they finished just one point behind in 2018. Towards the bottom of the table I predict it will be a lot closer than last season. 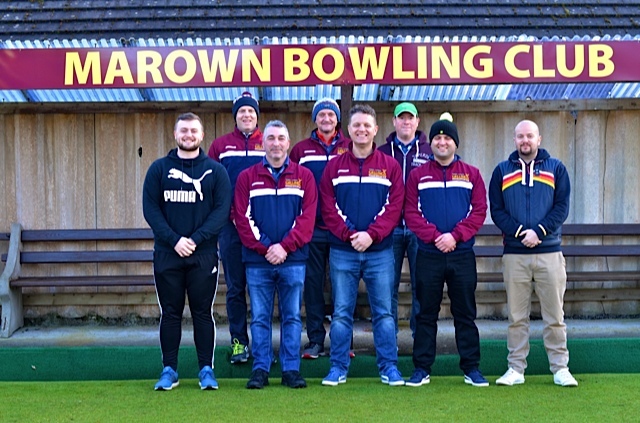 Noble’s A and Castletown B having both been promoted are well equipped to stay up, whilst South Ramsey B and Marown B will be looking to stay clear of the drop for another season. North Ramsey A and Castletown A should have enough having finished in 7th and 8th position last season. Home form will be vital for these teams, whilst avoiding heavy defeats on their travels will help their cause. In division two Port St Mary B sit top on 17 points having seen off Port Erin A 9-1 at home on Monday evening. Alan Crebbin just prevented the whitewash with a 21-20 win for the Breagle Glen men. On a cold and wet Thursday evening Port St Mary B defeated their C Team 8-2. 91 year old Louis Callister who is surely the night leagues oldest player secured two wins to help his team to the top. Marown C played their first ever division two game hosting Onchan B, who normally occupy the top four spots in division two and managed to record a good 7-3 home win over the visitors. Wednesday evening gave Marown a reality check suffering a heavy 1-9 away defeat to Port Erin A.
Douglas B occupy second spot on 16 points thanks to two 8-2 home wins over North Ramsey B and Peel Sunset B with Andy Foster stepping up to into B team from the C team and showing his improvement since taking up the game with two wins to start the season on a high. Finch Hill A sit in third spot on the same points as Douglas B, starting their season a lot stronger than last season when they lost their first four games of the season. On Monday Finch Hill won 10-0 at home to Ballaugh B, whilst Wednesday evening they would have been pleased to come away from Onchan B with a 6-4 win. Results like this will help their cause to make a return to division one. At the other end of division two North Ramsey B and Peel C will be looking to turn things around having both suffered two heavy defeats. In division three last week South Ramsey D were delighted to sit top of the table on 10 points at the end of the week, albeit due to three fixtures being postponed due to the poor weather on Thursday evening. Port Erin B are well placed having played just one game recording a 9-1 home win over Douglas C with captain Harry Minor leading the way for the Breagle Glen men who will be looking to make an immediate return to division two. South Ramsey C will be hoping to mount a serious challenge to get into division two this season, will need to put out their best team every week to help achieve that.